When is Nursing Home Care Needed? When seniors have suffered from an illness, injury or have recently had a surgery, a stay in a skilled nursing facility, also called a skilled nursing home or health care center, allows them to recover faster, receiving a full complement of healthcare services. The goal of these specialized health care centers is to help ensure these individuals get back to the level of independence they’re accustomed to after receiving a combination of therapies and professional medical care. Skilled nursing care is generally provided immediately following a hospital stay. Residents may no longer need the level of care provided by the team at the hospital, but are not yet ready to return to their normal lifestyle. They’ll be transferred directly from the hospital to a health care center for skilled nursing care,where they will continue to receive some assistance and therapy before returning home. Residents who require skilled nursing services generally require a higher level of care and assistance than those residing in an assisted living community. A team of medical professionals including physicians, registered nurses and therapists who are specially-trained in senior rehabilitation provide around-the-clock nursing care, therapy and other services designed to improve quality of life and aid in recovery. Physical Therapy: Physical therapists help to decrease pain while improving strength, endurance and restoring functionality. Occupational Therapy: Occupational therapists ensure residents become as self-sufficient as possible, restoring their ability to perform various life tasks, like cooking and getting dressed. Speech and Language Therapy: Speech and language therapists or pathologists focus on improving speech, comprehension and oral motor skill to ensure residents are able to effectively communicate. They also provide strategies for safe eating. Assistance with Daily Living Activities: Residents receive help with personal tasks above and beyond medical care, like bathing and eating. Wound Care: Registered nurses provide antibiotics and clean wounds to prevent any infections from occurring. Medication Management: The professional team ensures medication is managed properly and administered at the right time each day. Health care centers offering skilled nursing care provide the highest level of both medical and custodial care, but there can be some distinct differences, generally in regards to the length of stay. 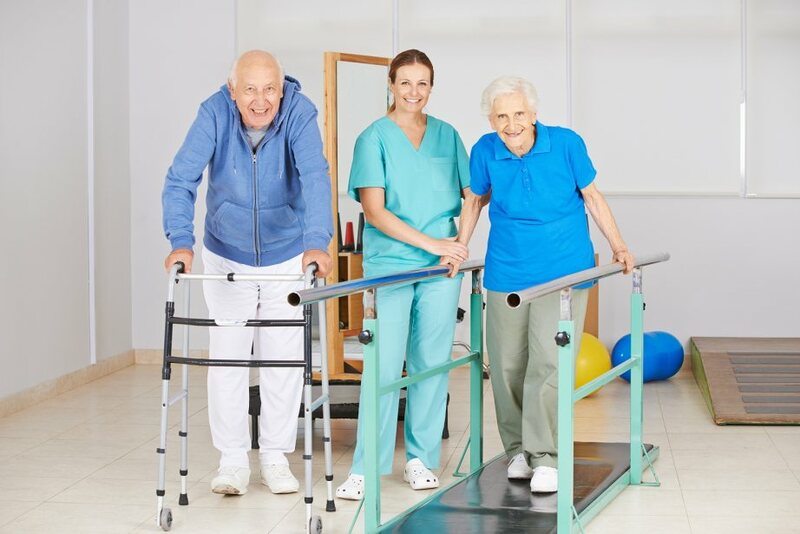 It’s important to find out the level of care provided; some skilled nursing centers only offer short-term care and rehabilitation, so if a longer stay is required, a short-term rehab center may not be the right choice. If possible, visit a few communities before making a decision. On site visits provide the opportunity to observe the environment, as well as talk to staff members and residents. Take note of the cleanliness of common areas and resident rooms, and how well-lit, spacious and equipped they are. Also, ask what kinds of additional amenities are offered aside from therapy and rehabilitation services. For example, does the center provide daily meals, housekeeping, laundry and social activities to keep residents engaged? 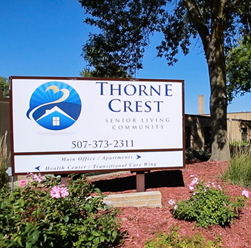 In our state-of-the-art Health Care Center at Thorne Crest, we provide specialized skilled nursing care 24-hours a day from a caring, professional staff. 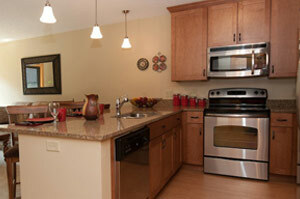 Contact us to schedule a tour or please call 507-373-2311 today.